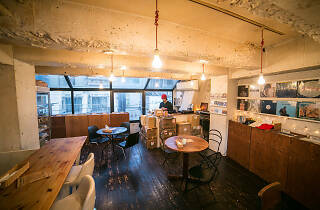 Owned by musician Keiichi Sokabe, this Shimokita joint combines the functions of café and record store. Tucked away on the fourth floor of an office building that's seen its best days, City Country City stocks more records that the space can handle – as evidenced by the piles of vinyl stacked against the walls. 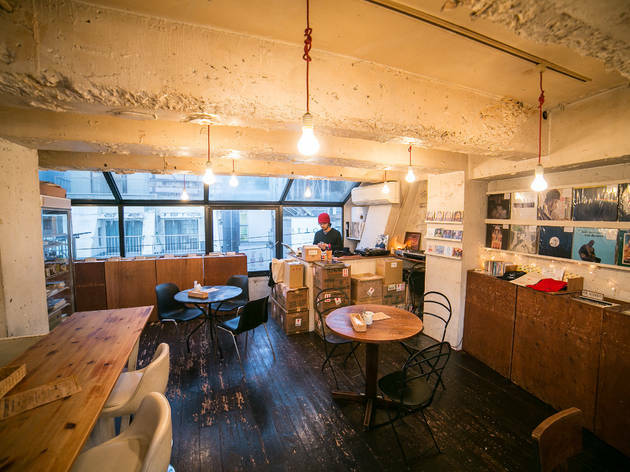 Every single record is displayed with a handwritten note describing it – if you can read Japanese, these make for endless entertainment. Represented genres range from acid folk to house and ambient, and you can listen to any disc of your choice on the in-store players. Look out for the monthly lounge parties, and remember to order a serving of the shop's much-vaunted pasta at the café.